Hi, I'm an ultra begginer (just started yesturday), I have a LoPy on a Pysense. 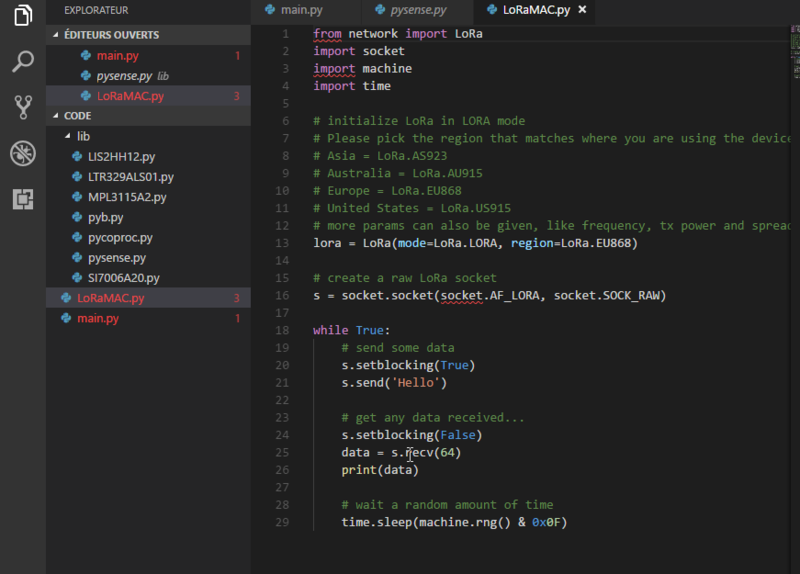 I wanted to test the LoRaMAC but the imports of LoRa from network don't work . I don't know If my project is well set or else, If I can take any advice to make it work I would thank you. @cbaudrit Are you sure that you are using the most recent firmware? @seb Alrig thank you it worked indeed ! I have another question, when I try to setup LoRa region it says that LoRa has no attribute EU868. How can I fix that ? 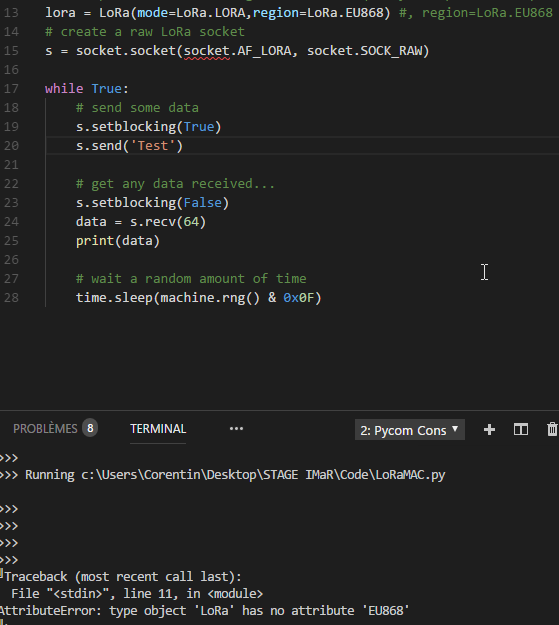 network is a library built into our firmware, the error you are seeing is from visual studio code, it cannot find a network python module, so it complains. If you upload your code to the module will be successfully imported.